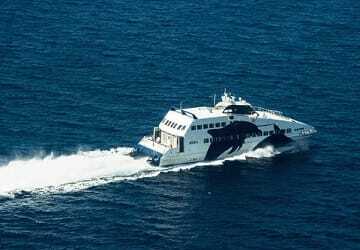 The Milos Thira ferry route connects Cyclades Islands with Cyclades Islands and is currently operated by 4 ferry companies. 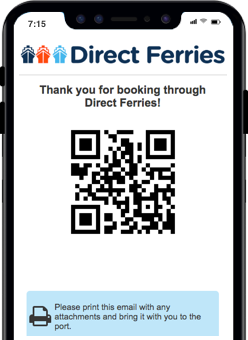 Anek Lines operate their crossing up to 1 times per week, Zante Ferries 1 times per week, Sea Jets 3 times per day & the Golden Star Ferries service is available up to 7 times per week. 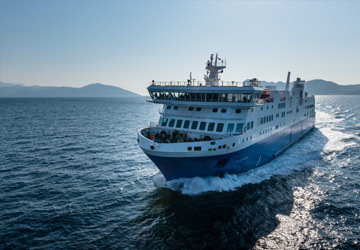 There are a combined 30 sailings available per week on the Milos Thira crossing between Cyclades Islands and Cyclades Islands and with 4 ferry companies on offer it is advisable to compare all to make sure you get the best fare at the time that you want to travel. Prices shown represent the average one way price paid by our customers. The most common booking on the Milos Thira route is a car and 2 passengers. "Rout Thira Milos and return 10 days after"
The outbound journey was delay 2 hours because of the weather. The ferry left Thira at 21:00 and landing at Milos at 23:15. I have to say that I was scared because of the high speed of the vehicle, it was jumping on the waves and it felt like reverse, but maybe it was just because it was my first time. So longe queue! The return journey at 10 am was more easy. No wind and flat sea. All ok! I travelled with my wife on the ferry from Milos to Santorini. Unfortunately, the ferry arrived h1 late! The crossing, because of the sea condition, hasn't been very plesant. However, for this, we can't blame the operator! The Seajet ferry arrived 1h later. Good trip with comfortable seats. Staff not helpful, except with the suitcases during the embarkation/disembarkation. never on time the departure but the crossing is very relaxing. 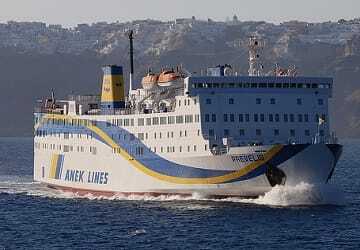 I booked with Anek the ferry from Milos to Santorini at 11pm. I had to discuss with the staff on board because I booked a reserved seat but there was no more space in the room. They found me another place but I couldn't spend the night there because it was too warm and too busy. Next time I'll book with deck space. When I arrived at Santorini port there were no buses or other public transport so I had to pay €30 to take a cab. it's a quick and confortable boat, it's very practical to travel between the different islands. "Duration of the journey "
The attention to detail was very good but the journey suffered a 40-minute delay.